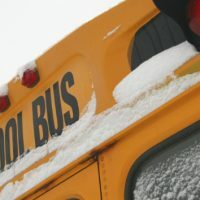 *Buses will be Running on Snow Routes Today, February 11, 2019. *School Will Start at the Normal Time. *Officials say please check back for updates prior to scheduled pick-up or school start times. Complete SNOW ROUTE information here.